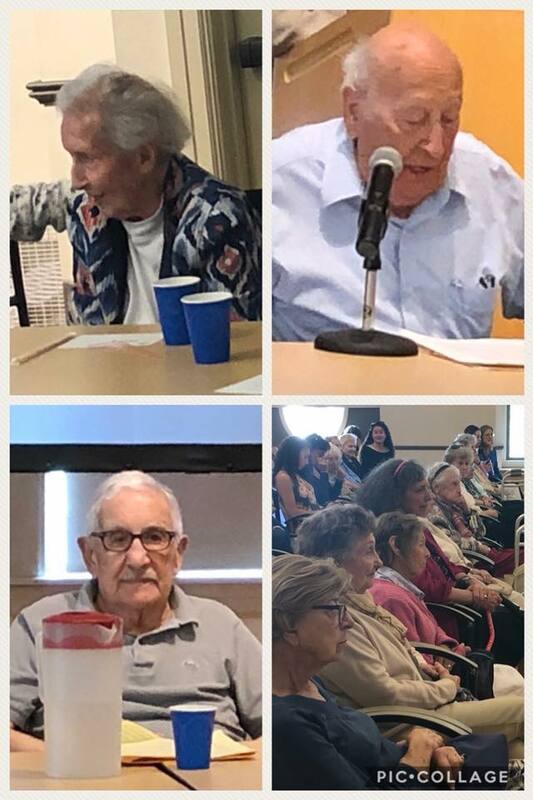 Three Springhouse Senior Living residents shared their stories on Wednesday, May 23rd at the Brookline Senior Center. Dr. Elinor “Fuzzy” Downs has been a member of this group for over 20 years! Irving Hurwitz and Frank Blatt also shared their stories. The residents joined other members of the writing group in the reading of the memoirs at this special end of session presentation. We were thrilled to bring the Springhouse bus full of other residents to the program to support and cheer on their neighbors. Following the presentation, the residents enjoyed getting to chat with all the authors at a brief reception.